Macy’s on Tuesday announced that Patti Ongman has been named chief merchandising officer, effective March 1, succeeding Jeff Kantor. Ongman, who has been at Macy’s for 33 years, now serves as executive vice president and general business manager for home merchandise, according to a company press release. In her new role she will oversee merchandising, private brands and planning for the department store’s five "families of business," which include ready-to-wear, center core, beauty, men’s and kid’s, and home, the company said. Kantor was tapped as CMO in 2017 and is set to retire in April after 36 years at the department store retailer and its predecessor companies. CEO Jeff Gennette had been in the role before him. Even with roughly 100 fewer locations after a massive downsizing in recent years, Macy's remains a sprawling department store empire, making merchandising especially difficult. Ongman is up to the task, according to Macy's President Hal Lawton, who in a statement Tuesday called her a "world-class merchant with a stellar reputation." Among her tasks is "transforming our merchandising organization to move faster and be more flexible," he also said. 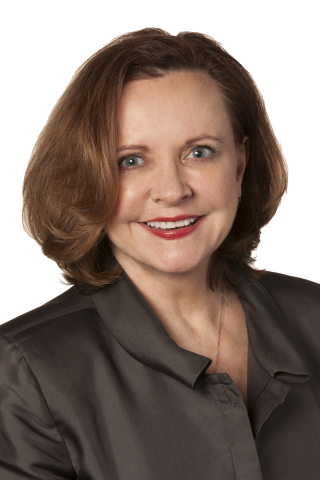 Patti Ongman has been named chief merchandising officer, effective March 1. Macy's and its rivals face pressure from many quarters. With off-price retailers drawing away customers with their treasure hunts and discounts, top labels departing to protect their brand equity and e-commerce upending how people shop, department stores have scrambled to remain relevant. The iconic retailer has boosted merchandising through its off-price unit, Backstage, as well as through deals like its acquisition of Story and tie-up with (and investment in) experiential concept b8ta. But those efforts are unproven and limited, according to Mark Cohen, director of retail studies at Columbia University's Graduate School of Business, who told Retail Dive last year that merchandising has been a weak spot at Macy's since Jeff Gennette took the CEO spot in 2017. There are opportunities for Ongman to grasp, however. Among them is the retailer's significant but neglected portfolio of private labels, that, with investment, could be differentiators, Cohen said. Private brands have emerged as key to attracting customers and snagging sales, and several retailers, including Amazon, Walmart and Target, among others, have moved assertively to develop new lines in apparel and home.